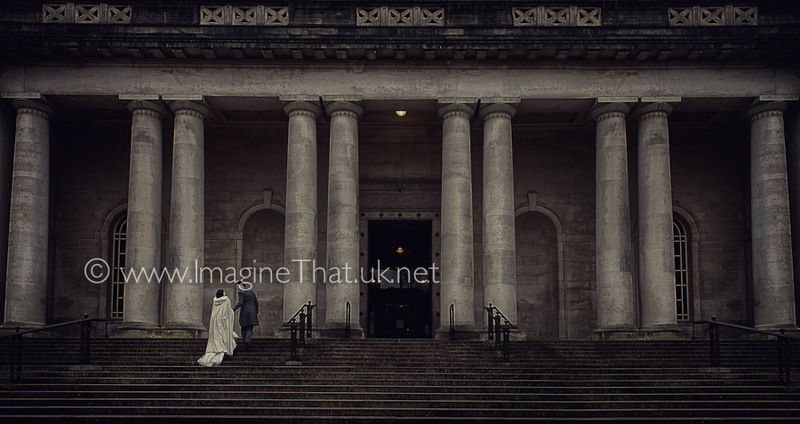 We guarantee all our couples to have beautiful outdoors wedding photography and we are the only wedding photographers in Cardiff and South Wales to do so. 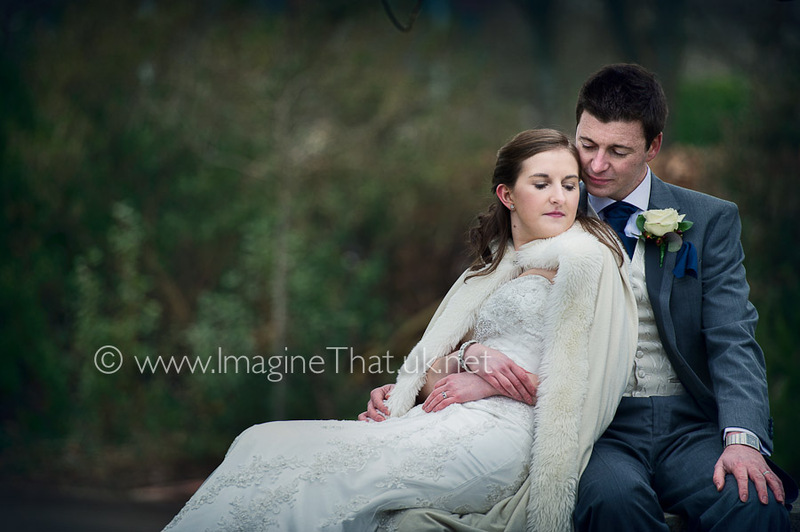 On Sarah & Samuel's wedding day the heavens opened and the rain cascaded down. It was so bad that it was impossible to venture outside even with umbrellas and waterproofs. 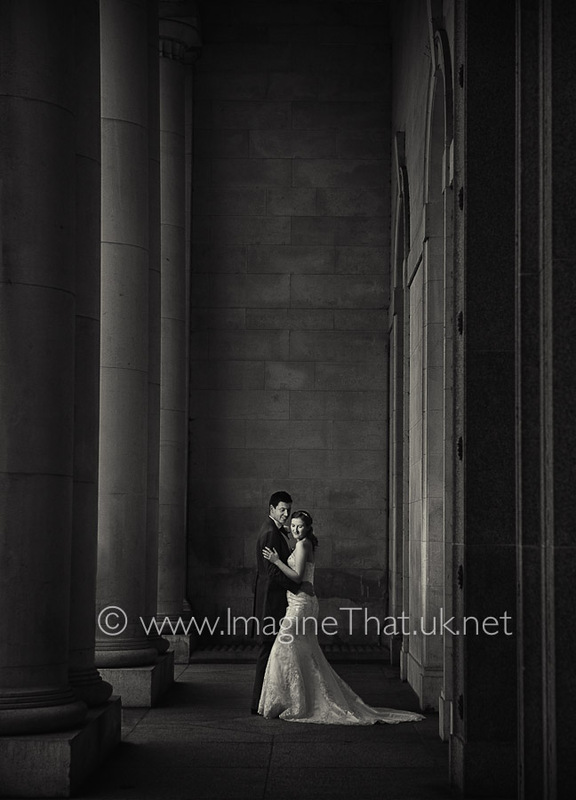 At Imagine That Studios, Keith & Elise guarantee to produce outdoor wedding photography for their couples no matter what. 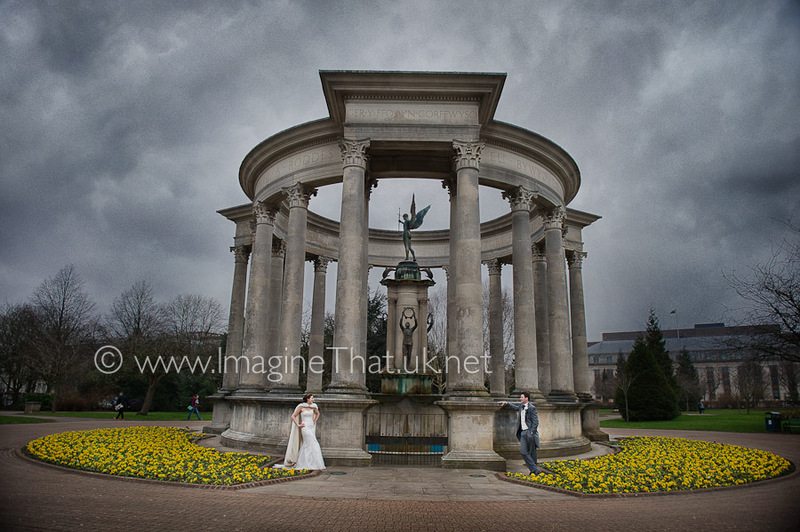 Here are some of the highlights from Sarah & Samuel's "Rainy Day Guarantee" photography session at Cardiff Museum and then after at Cardiff Cathays Park around the corner. Keith & Elise believe that a couple's wedding album would be bereft without outdoor wedding photographs and so at no additional cost to Sarah & Samuel we recreated some magical moments, Keith even tied Samuel's cravat for the second time, now that's dedication!